The Colts have re-signed special-teamer Christopher Milton, per Joel Erickson of the Indianapolis Star (via Charean Williams of Pro Football Talk). It’s a one-year, $1.75MM pact for Milton, who is a cornerback by trade. Milton played just 55 defensive snaps last season but was in on over 60% of Indianapolis’ special teams snaps. The former UDFA out of Georgia Tech spent part of his 2016 rookie campaign on the practice squad before being promoted. He has now established himself as a worthy ST contributor and can still provide depth in the secondary if needed. The Colts placed Kendall Langford on IR after the defensive end played this season with knee pain. Indianapolis promoted cornerback Christopher Milton from its practice squad to take Langford’s place on the roster. Langford functioned as the Colts’ top defensive lineman last season after signing a free agent deal earlier that year but hasn’t been the same player in 2016. The 30-year-old 3-4 end underwent offseason arthroscopic knee surgery, and although he returned in time for the Colts’ opener and played in seven games, Langford struggled to find his form. The former Dolphins and Rams talent failed to register a sack in those seven games, this coming after he recorded a career-high seven in 2015. Chuck Pagano announced the Colts were shutting Langford down in late October. He did not return to action, so that shutdown will be an extensive maneuver. Langford started 16 games for Indianapolis last season after being benched by the Rams a year prior. He’s under contract through the 2018 season after signing a four-year, $22MM deal last March. The former Dolphins third-round pick all seven of the games he played this season, bringing the ninth-year veteran’s start total to 113 in his career. 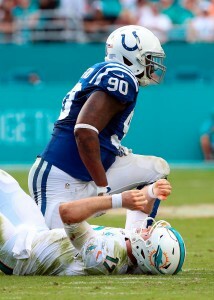 Indianapolis will now turn to Hassan Ridgeway and Lavar Edwards to supplement starters Henry Anderson and Arthur Jones. Anderson is also dealing with an injury and is questionable for Week 11. The Colts are cutting running back Stevan Ridley, according to Ian Rapoport of NFL.com (on Twitter). Ridley was signed by the Colts just days ago after he was cut by Detroit. The Colts have spoken at length about their plan to preserve Frank Gore‘s legs by lightening his workload and Ridley figured to be a part of that. Alas, the Colts didn’t see enough from Ridley in the last few days to keep him on the 53-man roster. 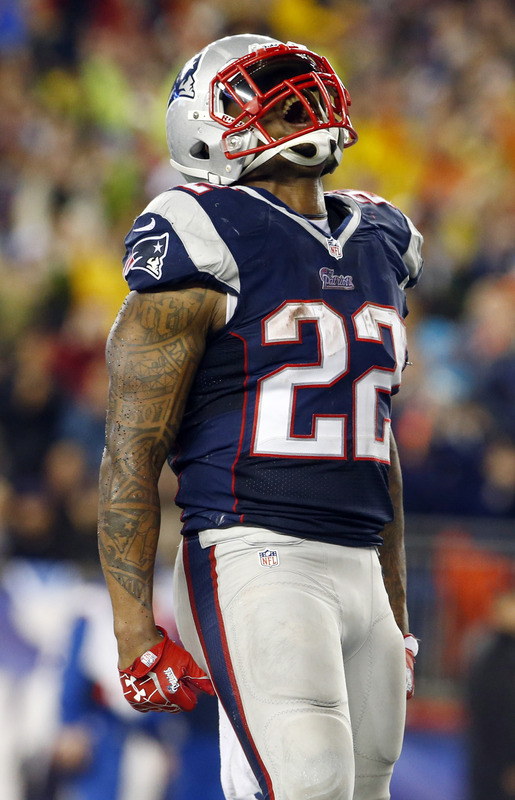 After spending his first four years in the NFL with the Patriots, Ridley signed with the Jets last season, but didn’t see the field all that much after coming off the PUP list. With Chris Ivory and Bilal Powell handling the majority of the workload out of the backfield, Ridley took over for Zac Stacy as the No. 3 back and earned just 36 carries, totaling only 90 yards for a career-worst 2.5 yards per attempt. His stint with Indianapolis could represent his best opportunity to reestablish himself as a quality back. The team has also placed offensive guard Hugh Thornton, cornerback Tevin Mitchel and linebacker Ron Thompson on the injured reserve, according to Holder and Alex Marvez of SiriusXM (Twitter link). The 25-year-old has started 32 of his 37 games through his three seasons in the league.